One hot August night this past summer I dreamed that I was driving along Highway 22 towards Jon Katz and Maria Wulf ‘s October, 2015 Bedlam Farm Open House. On the side of the road running loose was a frantic young Border Collie puppy. Fearing that the dog would be run over I stopped, reached into my purse for a light cotton leash, and put the leash around the dog’s neck. The puppy was dirty and tired but friendly and happily licked my fingers as I set it next to me in the pristine rental car. In my dream I bought a crate, kept the rental car instead of flying back and drove the puppy home with me to Florida, definitely not a free rescue dog. Last Saturday morning I met antique dealer, Jack Metzger, at his store in Cambridge, New York. As he opened up the store and turned on the lights I entered a couple of steps and looked to my right. There before me was a scratched up wooden frame holding an antique picture of a large, heavy coated dog. Jack lowered the price as I impulsively said I wanted to buy it. Moments later I foolishly realized that the cost of shipping the dog home would far outstrip it’s value. But here it is, my rescued dog, not a real live Border Collie but a dog that called out to me in the night, an antique artist’s print. 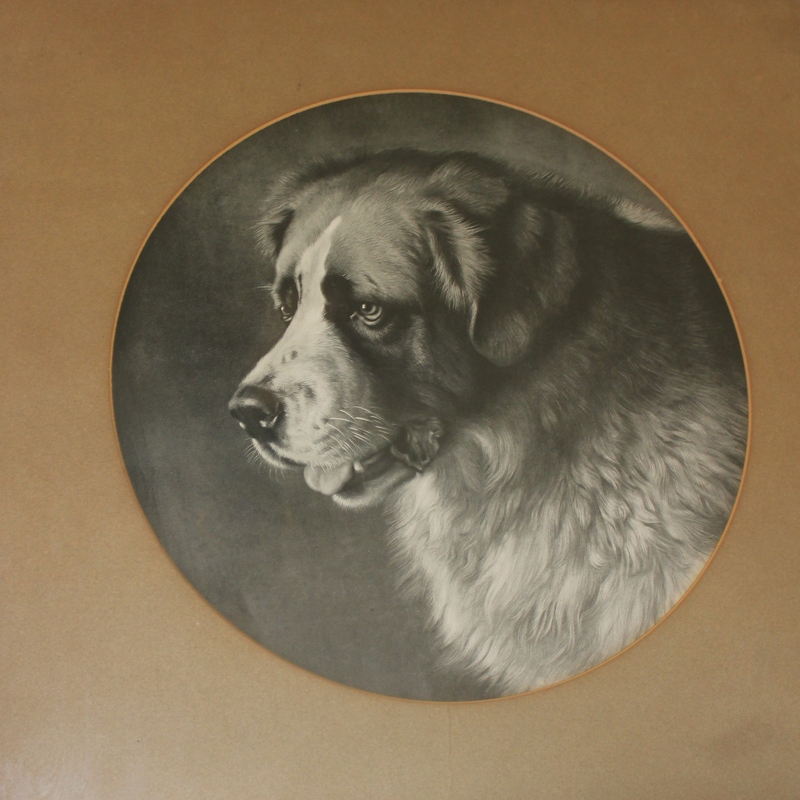 I searched the Internet and discovered that the print is from a painting by artist Frank Paton (1855-1909) of a St Bernard named Bayard (nicknamed Barry) who was owned by the Bavarian sculptor, Joseph Echteler. I’m thrilled to own such a beautiful antique picture and will take it to my favorite frame shop soon. I think I’ll also print out the information on the back of the print, as well as the Internet information I found and tape both to the back of the newly framed picture, so someday others will know its history. Welcome to my pack, Bayard, aka Barry. This entry was posted in a, Art, Dogs and tagged Antique Prints, Art, Dog, Jon Katz, Landseer, Maria Wulf. Bookmark the permalink.